Corns and calluses are patches of dead skin that can form under the sole of the feet and on the toes. A callus is an area of thick and hard skin that normally grows over the heels and ball of the feet. On the other hand, a corn is a concentrated area of dead skin, which has a core (circular nucleus look) in the middle that is often found on the top of the toes or the ball of the feet. 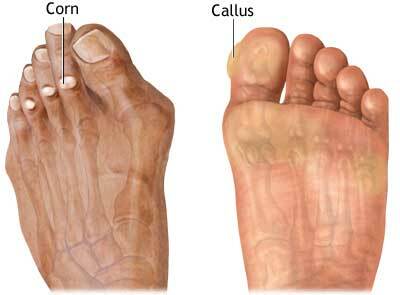 There are three types of corns that can be found on your feet. A hard corn (heloma durum) is a compact lump with a thick core. Hard corns usually form on the tops of the toes, on the outside of the little toe, or on the sole of the foot. A soft corn (heloma molle) is a small, inflamed patch of skin with a smooth centre. Soft corns usually appear between the toes. A seed corn (heloma millare) is the least common type of corn that occurs on the heel or ball of the foot, a seed corn is due to repetitive shearing motion. Calluses are often cause by our own body’s protective response to repetitive friction and high pressure. Corns are then formed when the pressure causing a callus is very localised in an area. These might be due to tight shoes, which would cause corns over the toes or on the sides of the feet. Also, if the feet are not in the correct alignment or there are some joints affected by osteoarthritis, certain areas under the foot, especially in the ball of the foot, can develop corns and calluses too. A genetic skin disorder called palmoplantar keratosis is a hereditary illness that can cause callus and corns under the feet. Patients with this skin pathology have corns and callus under their feet as well as on the palms of their hands. This thicker skin is present more so in areas of pressure but is also present elsewhere. Smokers have the tendency of getting large and painful corns to the sole of their feet. The connection between the two is not fully understand yet, but it is believe that smoking has a great effect to body’s chemistry in skin. Calluses are generally painless, however, they can still be quite painful if they become too thick or crack. Corns should be treated immediately as they can be very painful in most cases, and can often damage the underlying soft tissue which can lead to an ulceration if not treated in time. Podiatrists can easily treat the corns or calluses by debriding the excess hardened skin, which is usually pain free. 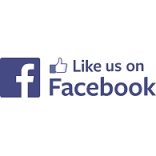 Your Podiatrist will then look at why the calluses and corns are forming and help reduce the risk of them recurring or slow down the progression through a range of offloading measures, including padding, toe protectors, footwear advice, insole therapy and orthotics. You should not try to treat your own calluses or corns with over-the-counter corn pads, solutions, plasters or paints containing acid. They can be dangerous, especially if you suffer with diabetes, peripheral vascular disease or circulation disorders. There have been multiple incidents in the public that people have hurt themselves with those products and ended up having other complications, such as ulceration, infection and amputation. You should NEVER attempt to cut away or scrape a callus or corn as you may likely injure yourself by damaging the underlying healthy tissue, nerves and/or blood vessels. 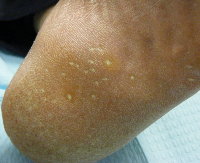 The end result may be infection, scarring or in severe cases – ulceration and possibly amputation. Apply a thick, lubricating ointment such as urea base cream.